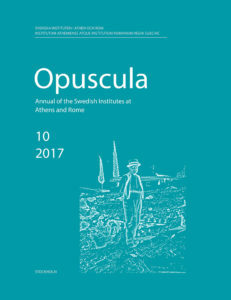 Opuscula 10 (2017) is now available for purchase at Amazon.com, Bokus.com, Adlibris.com, and Bokorder.se. Between 2001 and 2012 a geophysical survey project was carried out on and around Asea Paleokastro in Arcadia, Greece. 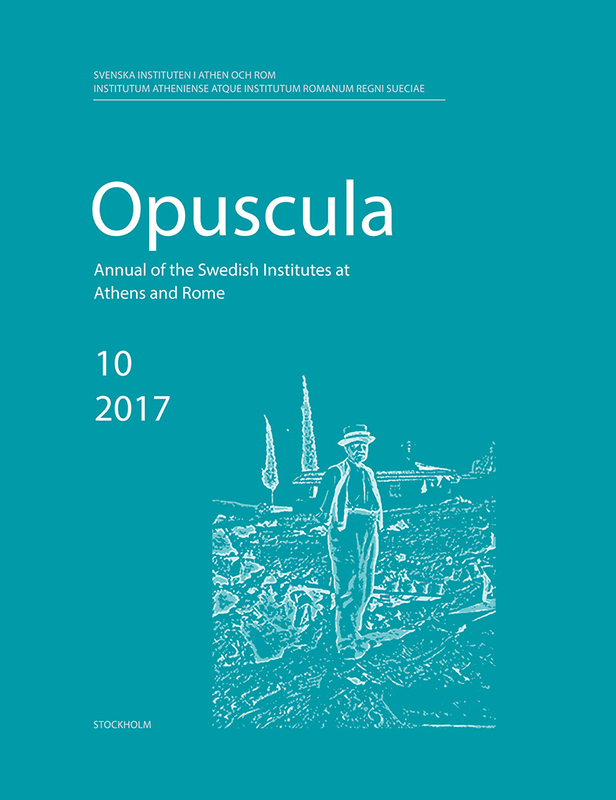 The results of this work complement the archaeological surface survey carried out in the same area in 1995 and the cleaning session of the acropolis walls in 2000. We have now a fair idea of how the lower city was laid out and how the city wall encompassed the city blocks. Detailed information concerning a residential block was supplied in part by the excavation published by Erik J. Holmberg in 1944, and this supports our results. We have an orthogonal town plan consisting of rectangular city blocks of c. 38 x 56 m. The city wall has several towers and a postern gate, as well as at least one more complex city gate. The agora is more elusive, but we think that it could be placed in an area mostly devoid of anomalies downhill from a built-up area revealed by the magnetometer survey and bordered by the main passageway to the acropolis entrance.